"I really hope that Microsoft sees the humorous side to the ordeal." 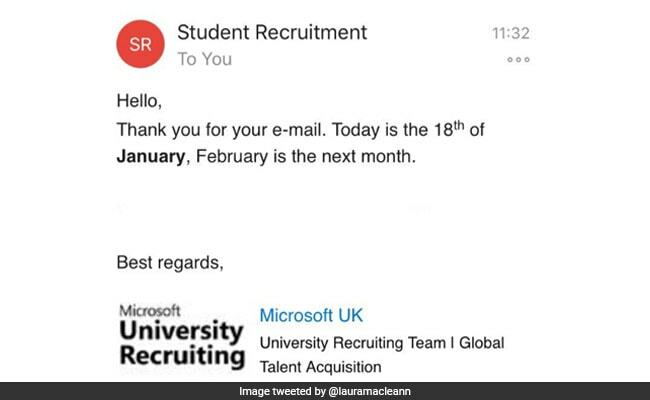 A student who accidentally showed up a month early for an interview with Microsoft has gone viral on the Internet. 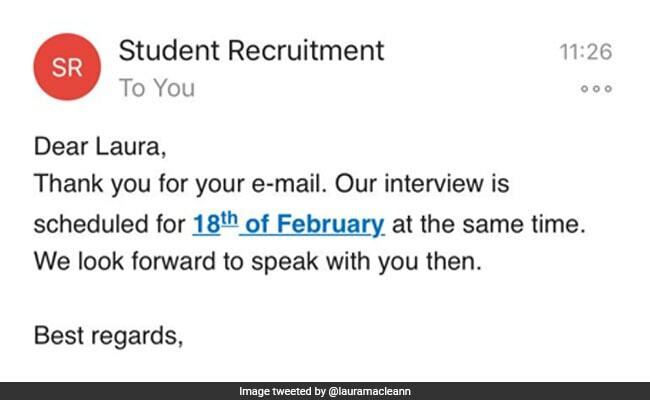 Laura MacLean, a 21-year-old student studying management and marketing in the UK, was supposed to appear for a Skype interview with Microsoft on February 18. Instead, the extremely eager student showed up for the interview a whole month earlier on January 18. 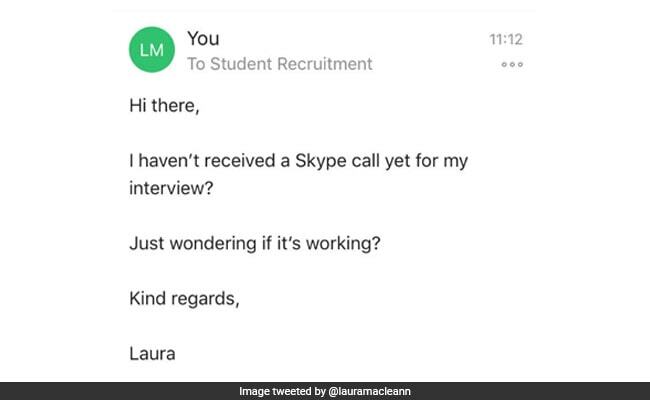 At 11 am on January 18, when she did not receive the expected Skype call from Microsoft, Laura tells Buzzfeed News that she began to panic and emailed the recruitment team. 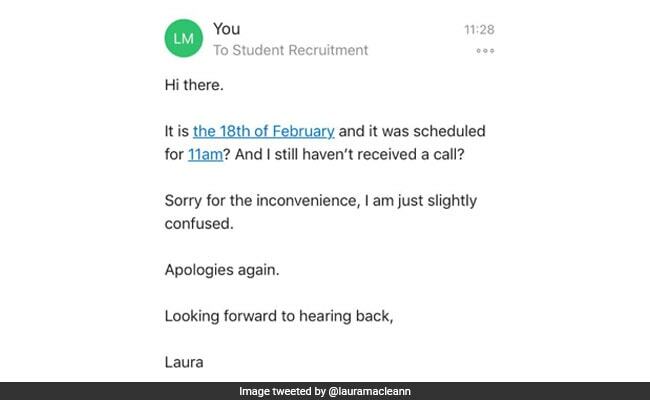 A representative from the team responded to explain that the interview is scheduled for "the 18th of February" - but Laura still didn't register her mistake. In fact, she replied to the email and told him it was February 18. 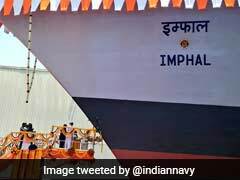 "It is the 18th of February and it was scheduled for 11am? And I still haven't received a call?" she wrote. The recruitment team finally had to explain to her that she was writing to them a whole month earlier, on January 18. "When the team emailed back reminding me it was in fact January and February was the next month, I quite frankly wanted to disappear into thin air," Laura said to Buzzfeed News. Since she shared the email exchange on Twitter, it has gone viral with over 1.8 lakh 'likes' and more than 35,000 retweets. 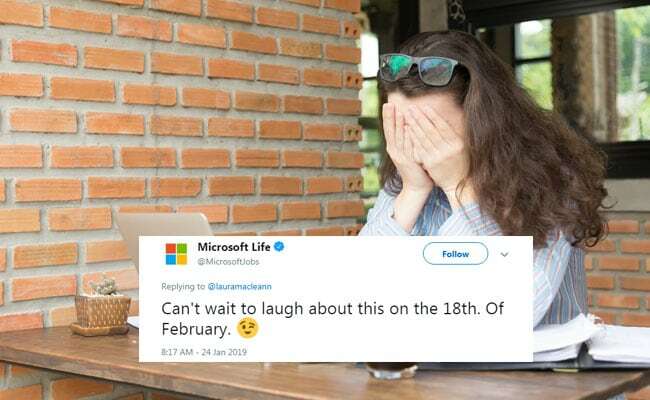 In fact, Microsoft even responded to her viral tweet. Can't wait to laugh about this on the 18th. Of February. And she gained a lot of sympathy from other netizens. My last Skype interview with Microsoft was rescheduled but nobody told me, so I waited, dressed to the 9s at 7am local time, thinking I'd been rejected already for sure. "People have been so lovely about the situation - I've had so many people around the world telling me about their similar situations and it's been a great consolation," Laura tells STV News. "I really hope that Microsoft sees the humorous side to the ordeal and that I have an intense dedication to punctuality - albeit a little too good."